St. Nicholas, Church Road, Otham, Maidstone ME15 8SB. 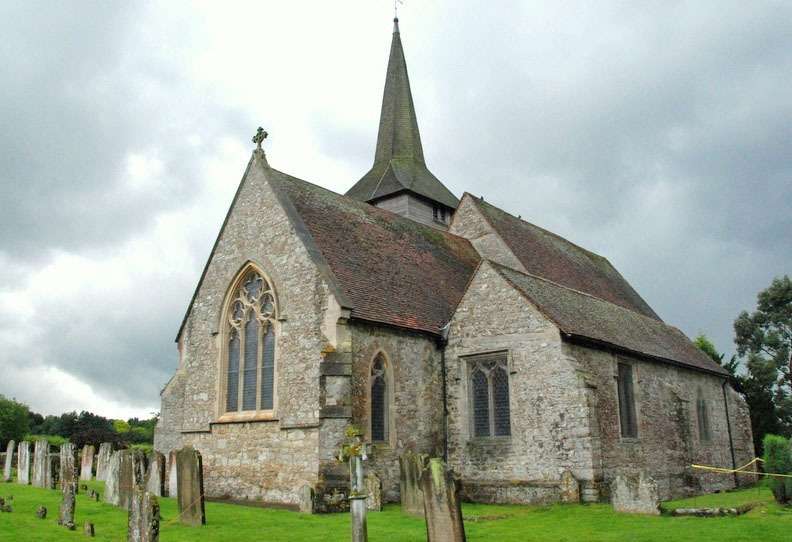 Friends of Otham Church – is an independent registered charity, separate from the church, but which exists to raise funds to help with the purchase of equipment, or to assist with capital expenditure in St. Nicholas. The group organises various concerts and fund-raising events, some of which take place in St. Nicholas, throughout the year. History – In the early 1970s the parish of St. John the Evangelist, Willington was united with Otham. Then in 1982 these two were joined with St. Mary, Langley to form the present parish of Otham with Langley. The parish now has a population of approximately 7,500. 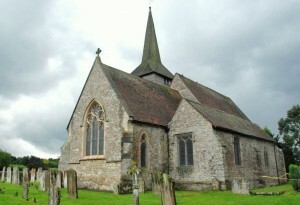 The Domesday Book records a church in Otham in 1086. A diocesan survey carried out in 1992 found that the main structure of the nave is Norman and dates from the late eleventh century. Over the centuries repeated changes have been made to the church and these can be discovered by walking round both the inside and outside of the church. The first change was the addition of the tower in the late 12th century and built, like the nave, of freely available local ragstone. However, the upper wooden part of the tower wasn’t added until the 15th century, and this allowed bells to be hung, the largest of which has been ringing since that time and is one of the oldest in Kent. When the tower was added the chancel was extended eastwards. The next change came early in the 14th century when a fine new doorway was inserted into the north side of the nave (although of considerable architectural interest, this was later blocked up by the Victorians). Around this time the western end of the Lady Chapel was built. Two hundred years later the eastern end of the Lady Chapel was added, the altar moved eastwards to its present position and the chancel was further extended. At this time the inside of the church would have been open and it is unlikely there would have been any seating apart from a few benches and perhaps a stool for the priest. The main difference from today would have been the rood screen wich separated the nave from the chancel. The Church Wardens’ Accounts which survive from the 1660s show a continual struggle over the next three hundred years, to find the finance with which to maintain the church fabric. In 1864/5 extensive repairs, including the rebuilding of the western end of the nave and removal of the gallery were carried out. The roof-line was changed and some alterations to the chancel were made. The floors were tiled, a new pulpit installed and pews were placed in the nave and chancel. It was around this time that most of the stained glass was donated.